Smite, Hi-Rez Studios' deity-based MOBA, is normally all about putting the hurt on a team of opposing players. In the special Xing Tian's Mountain mode, launched this week as part of the 201 Odyssey event, players go on an MMO-style raid encounter. Weird, but good. 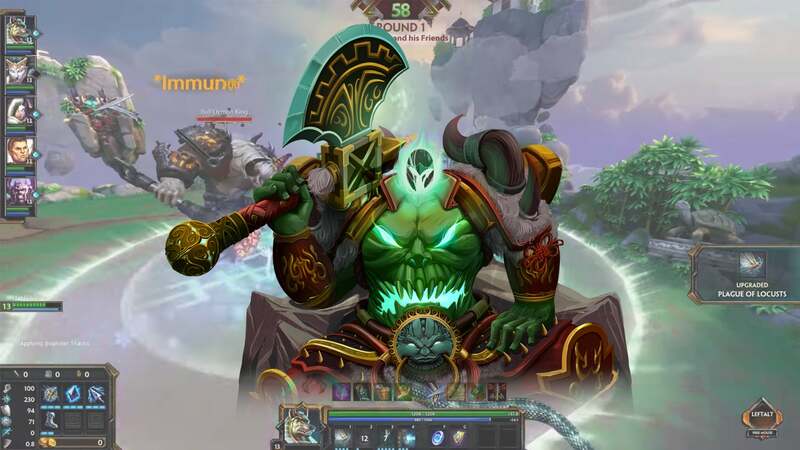 In Xing Tian's Mountain, players form teams of five and face off against a series of MMO-style raid bosses and wave-based survival challenges that will see them using their favourite gods (except for Xing Tian, of course) in completely new ways. Playing through rounds will earn players special in-game prizes, and leaderboards are available to help facilitate bragging. This is exactly the sort of thing I'd love to see more of in MOBA games. I love the mechanics, but I am not great against other people. It certainly beats endless bot matches. The limited time mode is part of the 2017 Odyssey, the annual Smite event in which players can unlock special skins, icons and other items. This year Hi-Rez is mixing things up by letting players unlock certain special event items through a series of quests, rather than purely using in-game currency. Full details on Xing Tian's Mountain and the 2017 Odyssey event can be found at the official web page. Smite is free-to-play on PC, Xbox One and PlayStation 4. *arches eyebrow* Oh? Well that might be a reason to actually update my copy.